New Republic: Affordable Care Act Is Constitutional In the early moments since the Supreme Court's announcement, The New Republic's Jonathan Cohn breaks down the decision, including Chief Justice John Roberts' surprise decision. 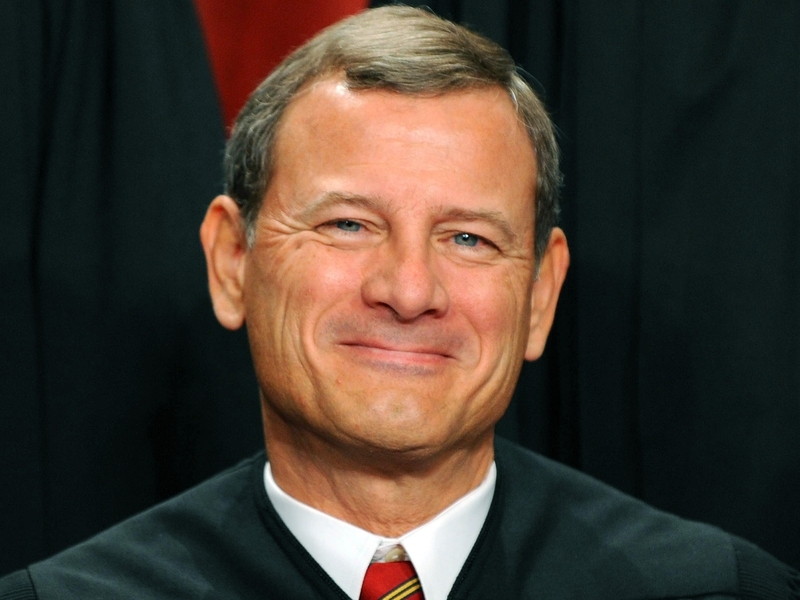 Supreme Court Chief Justice John G. Roberts participates in the court's official photo session on October 8, 2010. Today, the court released its decision on the Affordable Care Act, with Roberts casting the deciding vote to uphold the law. Jonathan Cohn is a senior editor for The New Republic. The Supreme Court has ruled. Health care reform is constitutional. The decision means that the Affordable Care Act can take effect. Thirty million people who might otherwise be uninsured will get coverage. Tens of millions more will get better insurance than they might have had, whether it's seniors getting additional drug coverage or purchasers of private insurance getting the right to appeal insurer treatment decisions. Nearly all Americans will gain new peace of mind—the knowledge that comprehensive coverage will always be there, no matter what their medical or financial status. The justices actually issued three decisions. The four liberals effectively embraced the government's arguments in defense of the law. Four conservative dissenters rejected the government's arguments. The deciding vote came not from Justice Anthony Kennedy, who led the dissents, but from Chief Justice John Roberts. He rejected arguments that the mandate was a permissible use of federal authority to regulate interstate commerce. But he said that the mandate was effectively the same as a tax and, as a result, passed constitutional muster. The Affordable Care Act's requirement that certain individuals pay a financial penalty for not obtaining health insurance may be reasonably characterized as a tax. Because the constitution permits such a tax, it is not our role to forbid it, or to pass upon its wisdom or fairness. Part of Roberts' decision, joined by the dissenters, also limited the federal government's ability to dictate how states use Medicaid funds. Because Roberts' opinion gives five votes to limiting federal regulatory authority, it could have long-term implications for the way the Courts interpret the constitution. The law professors will have to sort that one out for me. Bottom line: The entire ACA upheld, with the exception that the federal government's power to terminate states' Medicaid funds in narrowly limited. In issuing this ruling, the Court has not only validated the Affordable Care Act. It has also validated its own reputation. The vast majority of legal experts have said, all along, that the law is constitutional under any reasonable reading of past decisions. The only way to overturn the law would have been to rewrite decades of constitutional law, if not more—and to overturn in economic regulatory legislation in a way the Court has not done in nearly a century. Instead, five justices demonstrated that judges should act with caution and humility, overturning major federal legislation only in cases where such legislation represents clear violations of the Constitution. The Affordable Care Act does not qualify, the justices said.